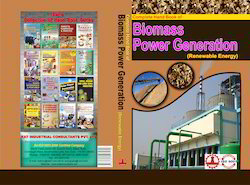 Offering you a complete choice of services which include biomass power generation project reports. We provide Project reports related toBiomass Power Generation Project Reports, Strengthening of Supply Chain, DPR and Infrastructure for Power Evacuation, Inspection & Quality Control for the Equipments, Power Purchase Agreements (PPA), Performance Evaluation of the installed sites and other related issues. To our credit, we have many Biomass Assessment Studies conducted for Government in India and many Project Implementations for Co-operative Societies and Industries.Kat Industrial Consultants Pvt Ltd has to its credit verification and certification reports for bio mass for the purpose of checking sustainability/validation purposes for CDM benefits. for bio mass for the purpose of checking sustainability/validation purposes for CDM benefits.